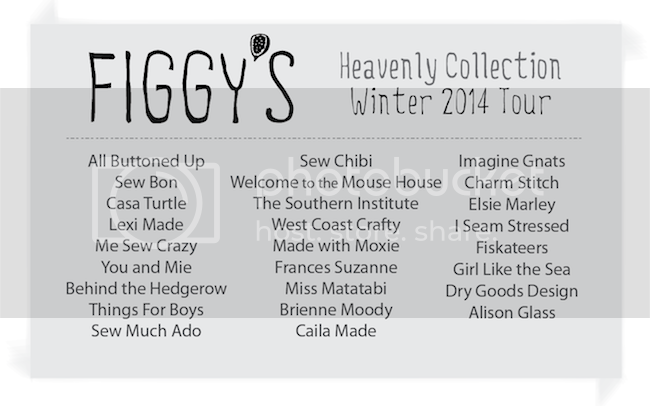 Today we are participating in the Heavenly Pattern Tour with the ever-fabulous Shelly of Figgy’s Studio. 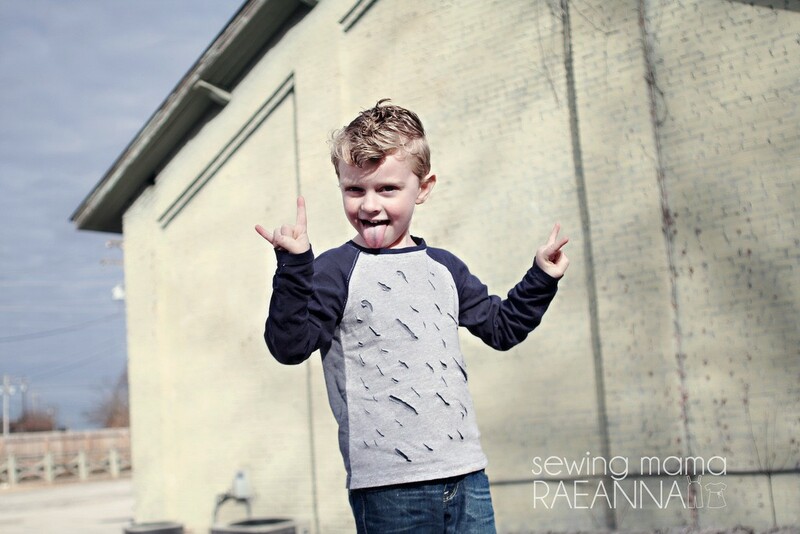 RaeAnna of the Sewing Rabbit Team had the opportunity to work with the Seraphic Raglan Tee, and decided to have some fun with it…making it an awesome Rock-n-Roll shirt for any little boy or rocker girl! 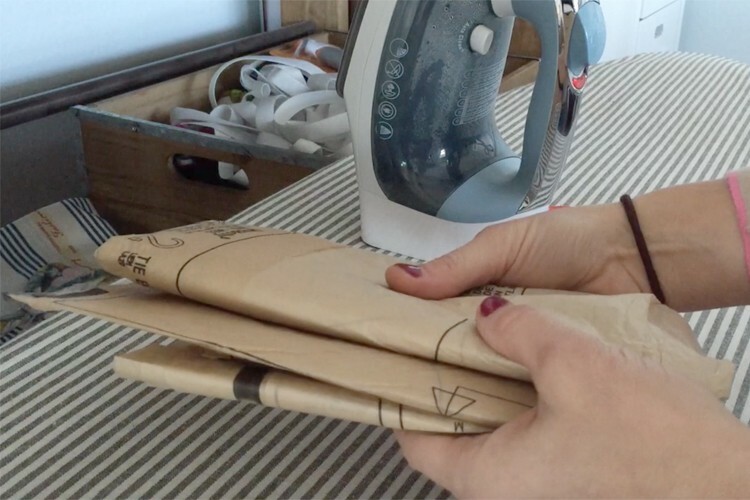 See how you can make any shirt pattern a ‘slashed or shredded tee’ with this easy craft DIY. When Jessica approached the Sewing Rabbit team for volunteers to review the new line of Figgy patterns I jumped at the chance! 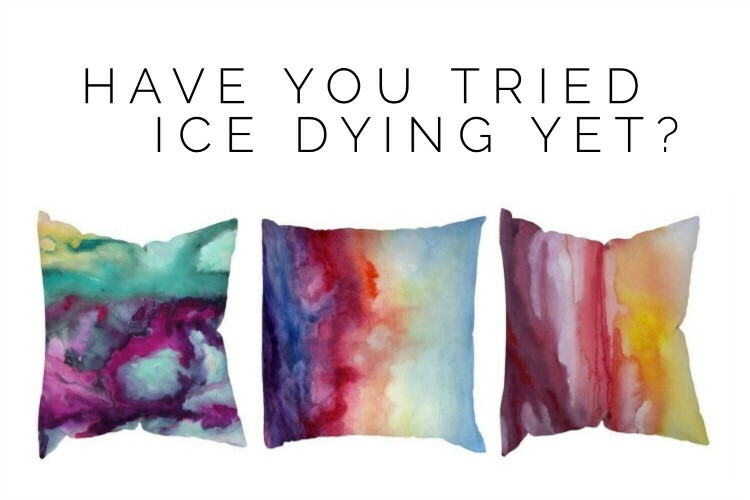 I love the unique style that is displayed in the Figgy’s Pattern brand. 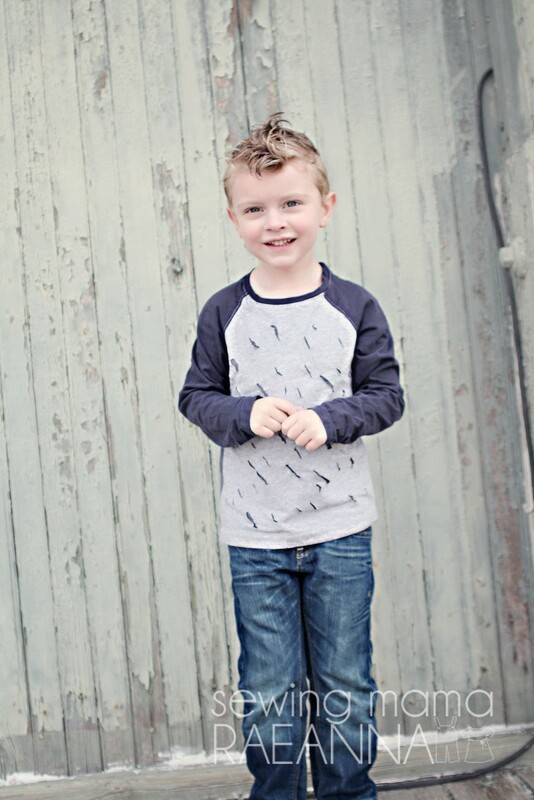 When you look at the Heavenly collection you would probably think “girl” for most of the patterns, but I knew the Seraphic Raglan Tee would be a an awesome addition to my son’s wardrobe! 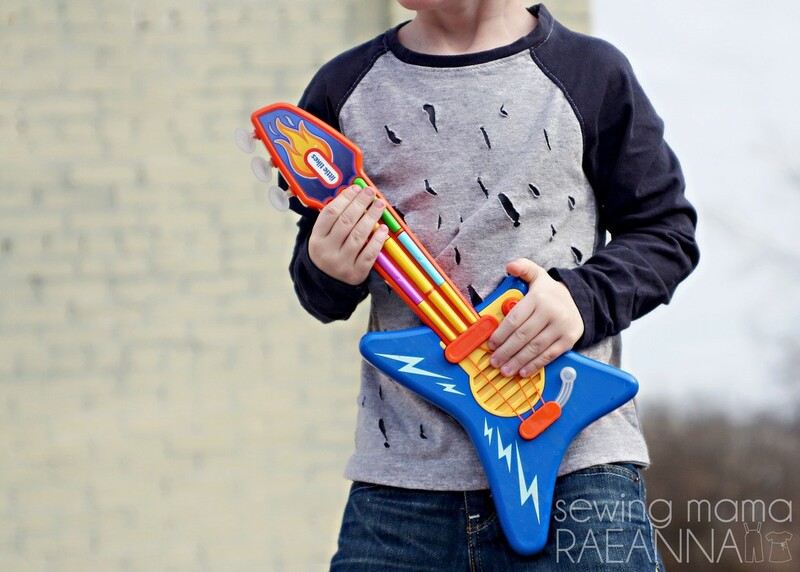 I wanted to create a fun modification tutorial for this raglan so I came up with the “shredded” theme – it’s rock and roll but still fun for a little 4 year old boy! Here’s how you can re-create the look at home. Cut 2 front pieces instead of 1 so that you will have a shredded layer basted on top of a solid layer. On the top layer, mark slash placements with a water soluble pen. Using scissors, cut out the slash marks. Baste the slashed layer on top of the solid layer, pinning the wrong side of the slash layer to the right side of the solid layer. Finish construction as indicated in your pattern instructions. 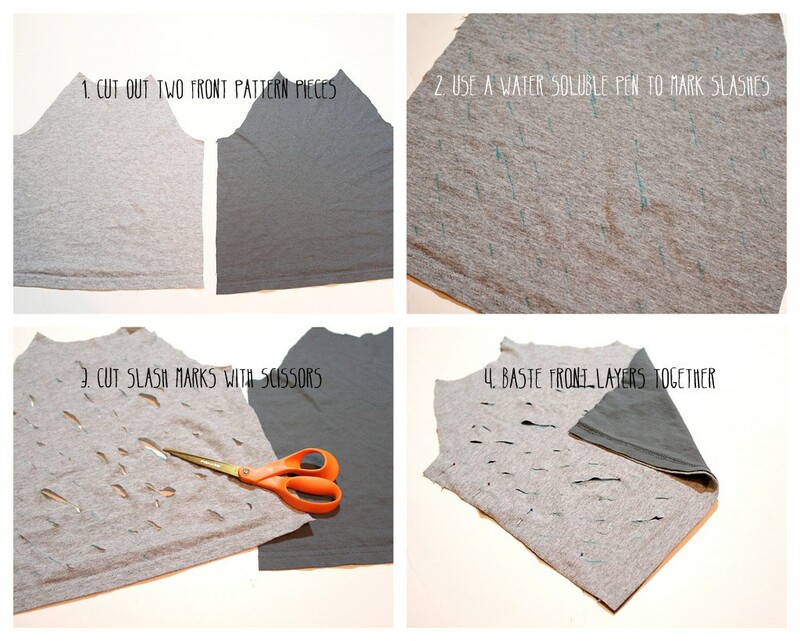 If you want to cut your sewing time to a minimum, re-purpose some old t-shirts to create your pattern! This shirt was made from 3 of daddy’s t-shirts, a light gray, dark gray, and dark charcoal. I used white thread to top stitch the seams so that it would stand out on the charcoal knit. I look forward to sewing more of the Heavenly collection this spring/summer. The Ethereal dress is high on my to-sew list for sweet Eva Mae! 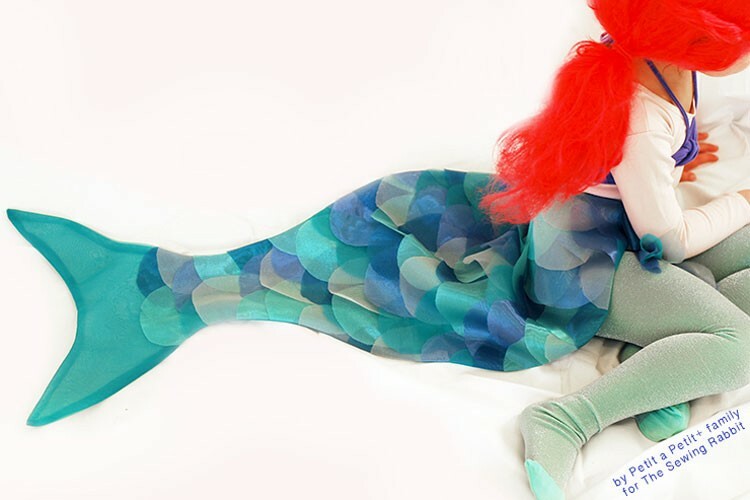 Figgy’s is also giving away a grand prize to celebrate her new Ethereal Collection! 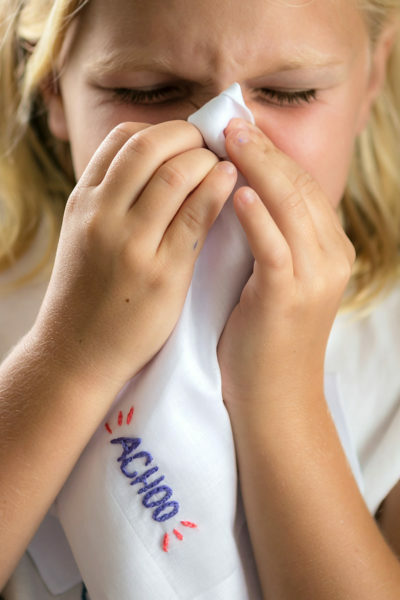 Click here to see the giveaway, and enter for your chance to win! Cute! I think it’d be cute in girly colors too! Definitely!!! 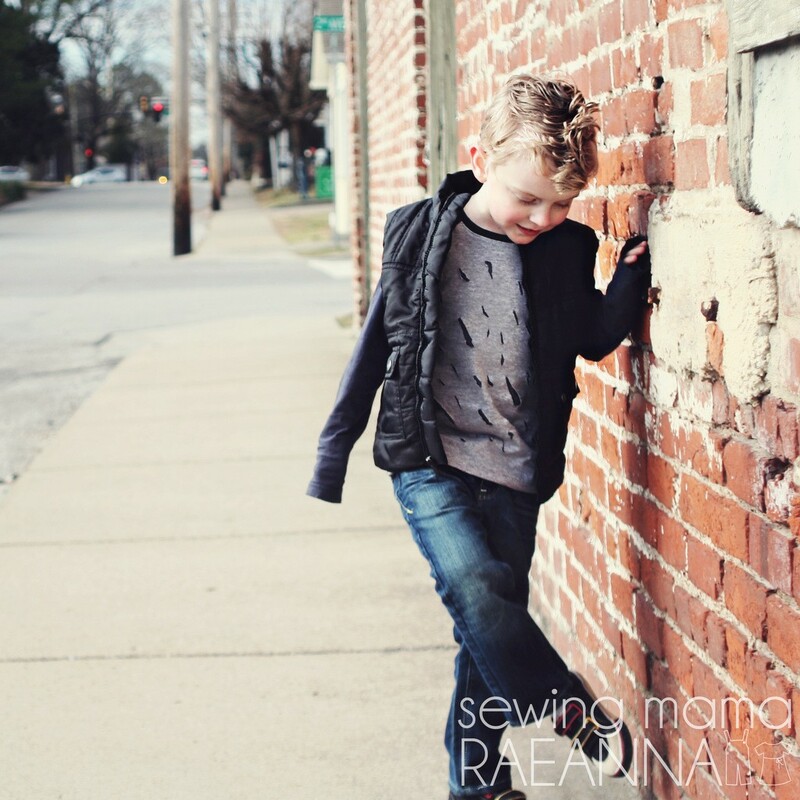 I find myself veering more toward comfy knit patterns for everyday wear on my kids! 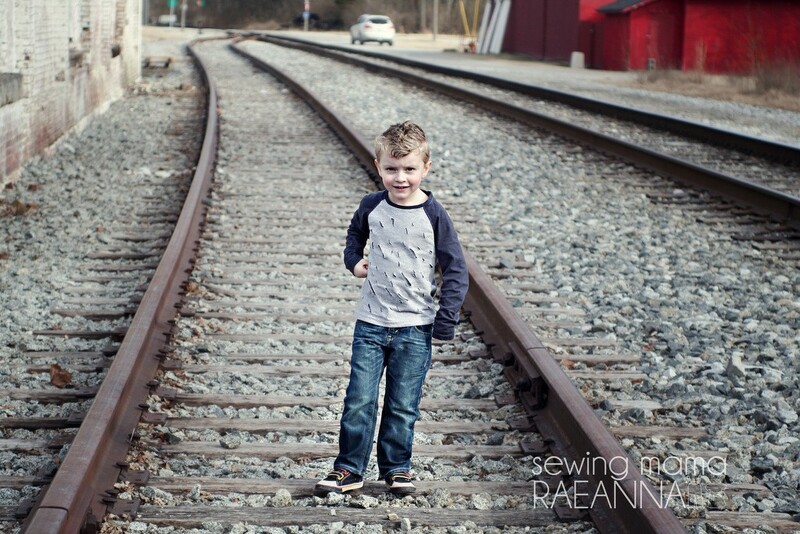 I love how easy raglan t-shirts sew up! Very cool idea! 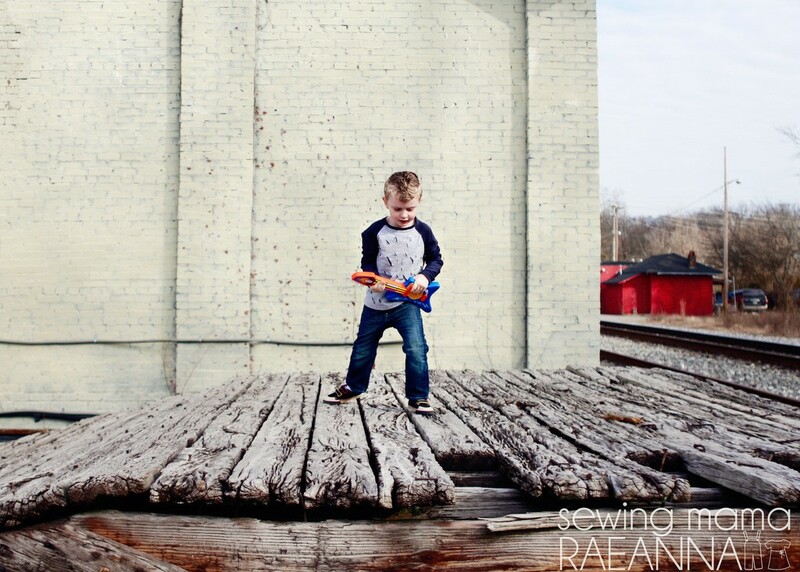 I am sure my own little 4 year old would think it was very rock star! Thanks!!! He has so much fun wearing it! Love it! It’s perfect for boys too huh?! Did you also lengthen the sleeves? I LOVE this!! Your son is adorable! Love the photos too! 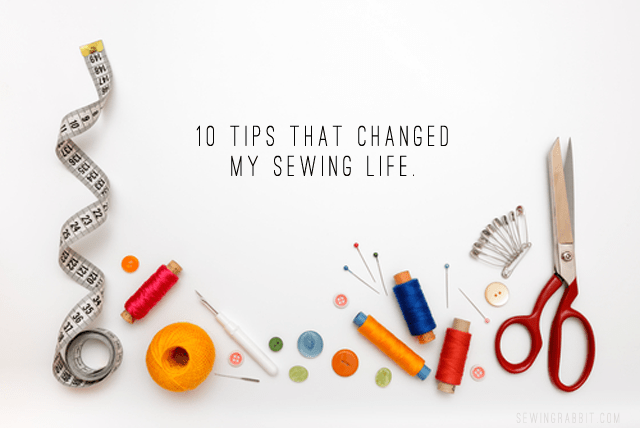 Totally cool way to sew this pattern! I love it, Raeanna!